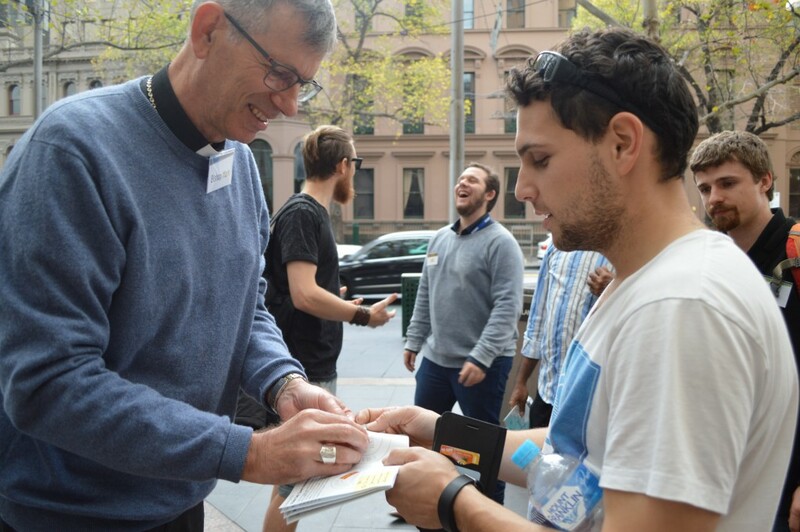 The Victorian World Youth Day Pilgrimage gathered together in Melbourne on Saturday, May 23 to prepare for the pilgrimage to World Youth Day (WYD) in Krakow, Poland in July 2016. Around three hundred pilgrims gathered for a day of getting to know each other, formation and prayer as well as the challenge of an Amazing Race! The day began with a Leaders’ Preparation and Formation session, then at 11am all the pilgrims gathered together for the first time. The four Victorian Dioceses have joined to travel as one Victorian Pilgrimage. 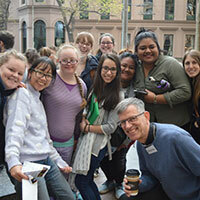 There was great excitement as young people from all parts of Victoria, some of whom knew each other from previous World Youth Days or Youth Festivals, met up. For others, like the pilgrims from Mildura, it was their first time in Melbourne. There are twenty pilgrims from the Ballarat Diocese travelling to Krakow, including Stacey Atkins from Warrnambool who is one of the pilgrimage leaders, Fr John Corrigan and Fr James Kerr who are Chaplains, six ‘early career’ teachers from Parish schools and Catholic Colleges in Warrnambool and Ballarat, and young parishioners from Timboon, Portland, Mildura, Horsham and Ballarat. other pilgrims in their small group. Bishop Mark Edwards also joins them. Bishop Mark Edwards, Chair of the Pilgrimage, led everyone in praying the Australian WYD Prayer, after which there were formation sessions led by Amanda Smith and Leeanne Grima, who are both part of the Victorian WYD Steering Committee, and Sr Rachel Fleurant MGL who is a Leader Coordinator. The pilgrims then formed in their small groups for the first time, meeting their small group leader and other members of their group. The Small Group structure has been effective in providing support and communication on previous WYDs. Small groups are 8-10 people single gender with one leader, who connect with each other regularly to share information and spend time in discussion and reflection. The small group is like family on the pilgrimage. 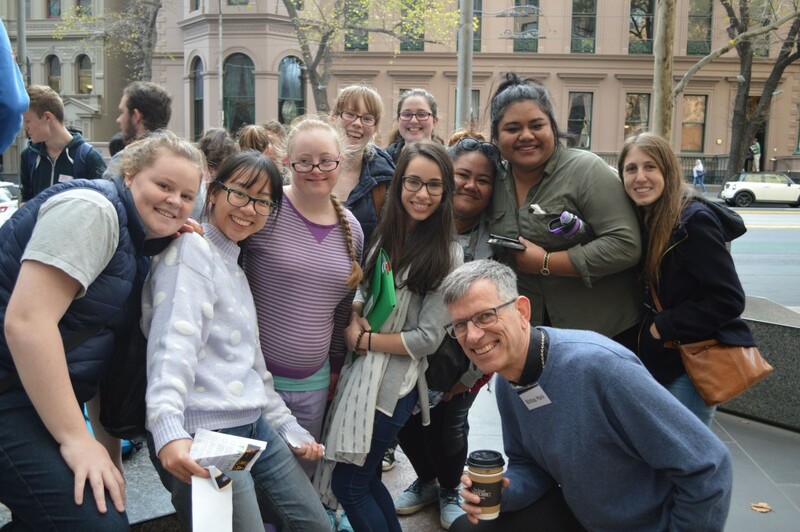 On Saturday each Small Group had lunch together and planned their afternoon activity: An Amazing Race around Melbourne CBD with a trail of clues and missions with Polish themes. The groups had to each work together and stay together to complete the tasks, visiting checkpoints around the city. Groups of pilgrims could be seen sprinting from one checkpoint to another. Others opted for more elegant travel on trams in the free tram zone. Fr Andrew Jekot from Melbourne Archdiocese, born in Poland and fluent in Polish, had the Amazing Race task of hearing pilgrims speak the Polish phrases they had been practising. Fr Andrew is one of the Pilgrimage Chaplains and was very encouraging to all those who tried to pronounce words like Częstochowa and Przemyśl. The Amazing Race is a great way to initiate communication and cooperation in the small group, and getting round Melbourne together is just a foretaste of the challenge of being in Krakow with millions of other pilgrims. After the fun of the Amazing Race, the pilgrims returned for a final gathering in their particular pilgrimage groups. There are four different “pilgrim pathways” for Victorian pilgrims to travel to Krakow. Krakow Connect is the most direct pilgrimage, encompassing all of the Under 18s, led by teaching staff members, with also a smaller number of over 18s, in their own groups. Poland Encounter, to be led by Leeanne Grima, is the “Days in the Diocese” Pilgrimage. A strong contingent of pilgrims from Ballarat are on this pilgrimage, including the six ‘early career teachers’. Another pilgrimage group will travel via Greece in the Footsteps of St Paul. The fourth pilgrimage “The JPII Trail” is being led by Stacey Atkins, from Warrnambool. The whole day was very successful. WYD Formation and Preparation continues at local diocesan level in June and then the whole Victorian Pilgrimage once again gathers for the final preparation and Commissioning Mass at the Cathedral in Melbourne in early July, before the pilgrims fly off to Poland and their WYD Pilgrimage experience. Thanks to all those pilgrims who travelled long distances to get to Melbourne for the formation and to their families and parishes and schools for their support. This entry was posted in World Youth Day and tagged World Youth Day, Youth Ministry on June 1, 2016 by ACBC Communications.